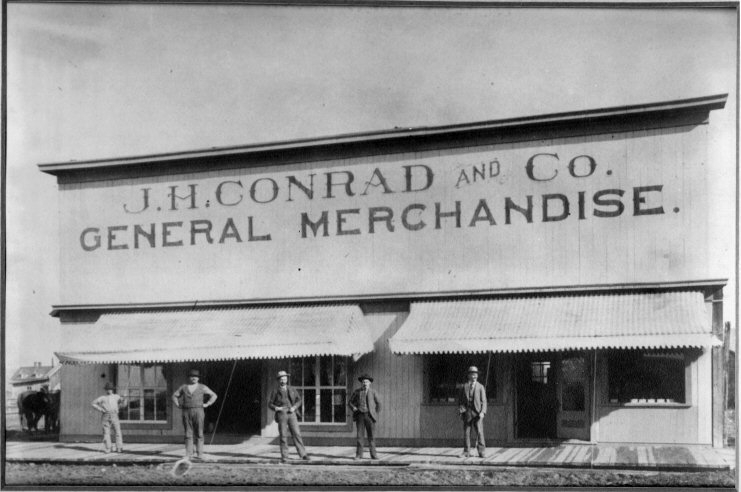 Constructed in 1883 and the only false front building remaining on Sheridan’s Main Street, the structure originally served as Sheridan’s first general store and is the oldest building in Sheridan’s Historic Downtown District. 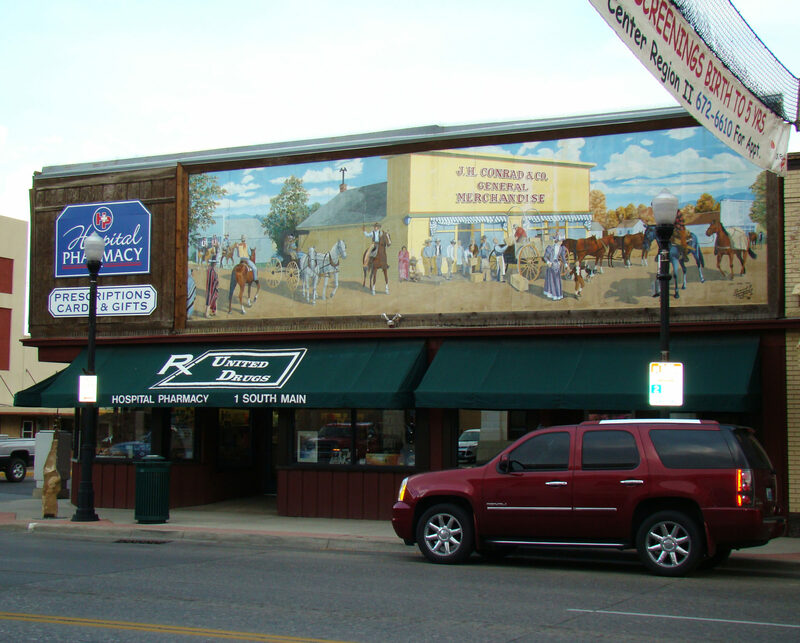 The false front is typical for buildings in western pioneer towns. 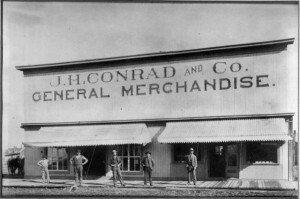 The building housed multiple general stores, including J.H. Conrad and Hanna & Henschke. At one time it had a large blackboard claiming, “We sell everything from knitting needles to threshing machines.” It was told, “Mr. Henschke always had a barrel of pickles and one of pickled fish which lent a particular odor…” The Conrad’s were bankers, mercantilists, and cattlemen. They grazed thousands of cattle from the Platte River to the Yellowstone River. Bernard Thomas, a local artist who became well known throughout the country due to his murals, painted the current mural on the building.